How many great boys’ fireman and fire truck themed birthday party ideas have you found this week? Get ready to discover some more! You’ll find cakes and cupcakes, decorations, dessert tables and imaginative ways to use party supplies in this round-up of red-hot ideas. Check out these fun 10 fireman birthday party activity ideas that will bring lots of fun to the party! 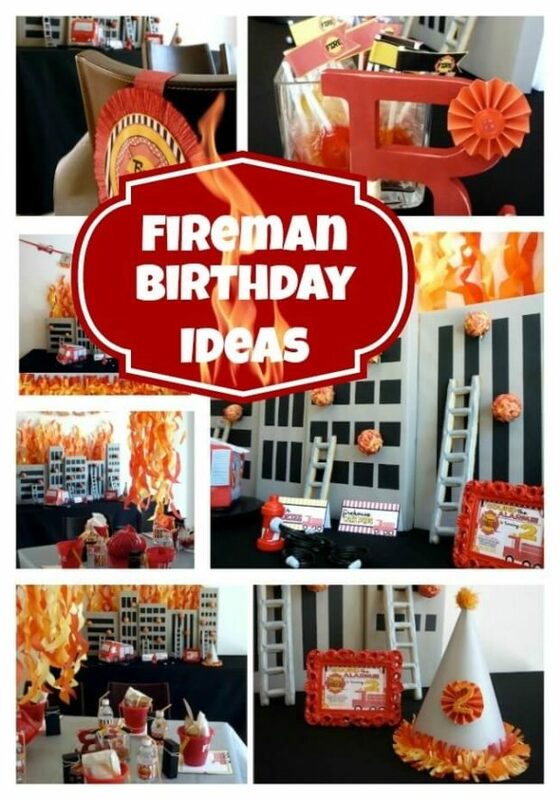 Plus, get some inspiration with these 18 boy’s fireman birthday party decoration ideas. Then, satisfy your sweet tooth with these 16 amazing fireman birthday party cakes! This party is so doggone cute! Complete with printable banners, straw wrappers, cupcake picks, water bottle wraps, and more, this Dalmatian fire fighter themed birthday idea is simply adorable. It is perfect for little ones dreaming of becoming fire fighters, or obsessed with fire trucks. The graphics are so sweet and the printables cover nearly every party need. Did you ever think of a fire truck dessert table as being beautiful? This one is! Turn simple, dollar store decorations into an amazing Fireman birthday party celebration with these fun tips and tricks. How fun is it that the birthday boy gets his own fireman chief sign on the back of his chair? Along with fireman hats, buckets, and printable decorations, basic streamers were used to create toe coolest looking flames hanging from the ceiling. This shared birthday celebration for two brothers is full of fireman and Dalmatian themed party ideas. The dessert and drink tables are decked out with flaming cupcakes, DIY pretzel matchsticks, Dalmatian cake pops and more. Simple touches like red, yellow, and orange cups and dishes add fun pops of on-theme color and the firetruck and Dalmatian decorations take the party over the top! Who has a child who loves curious George? If you do, then this adorable Curious George and the Firefighters birthday party is for you. The post is filled with so many fantastic ideas for décor, food and sweets, activities, and favors. Curious George toys are placed in fun ways around the party, along with some fun party items from the dollar store like fireman hats and firetruck toys. This darling fireman themed party is near and dear to my heart since it was Sam’s 3rd birthday celebration. I love the expressions on the firemen’s faces and the fun touches throughout the dessert table. Water buckets filled with blue jelly beans, Dalmatian spotted cookies, licorice fire hoses, and more fun treats all add to the funky firefighter theme. Sound the alarm, this vintage fire truck themed party is the sweetest birthday party idea for a young kind obsessed with fire trucks and firefighters. Red gingham, bright teal table clothes, and burlap table-toppers make a beautiful color theme and some fun vintage fire truck accessories pull it all together. Printable invitations, cupcake toppers, and water bottle tags only add to the fun! Flaming building cupcakes, fire truck cupcakes and fire hydrant juice boxes are just a few of the adorable decorations that set the stage for this little guy’s fireman party. Simple touches like printed fire chief badges and color coordinating napkins and plates add so much fun to this food table spread. Personalized photo cut-outs are sure to be a hit at your firefighter-obsessed kid’s party. With a few original and creative ideas, plus some fun free printables, you can create this adorable fire truck party for your child’s birthday party. Red paper bags filled with fire engine stickers, a fireman’s badge, and a fire truck tattoo make the perfect favors for guests, and any party food is made festive with some easy printable tags. Add a festive cake and you have the perfect birthday party. These sweet patterned printable decorations make the perfect addition to a firefighter themed birthday party or baby shower. 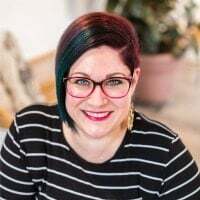 I love the combination of stripes and polka dots, and the cute color combination of black, white, and red! Personalize the fire hydrant print with your child’s name and mount it in a plain white frame for the cutest, personal touch to the party. Check out this bright and unique firetruck birthday party complete with printable birthday banners, cupcake tags, and more. Some simple red decorations from the dollar store, like tissue paper pompoms and streamers, add to the festive fun. If you are looking for some on-theme dinner ideas try out 5-alarm chili or some Flamin’ Hot Cheetos. This fire truck themed birthday party has it all. From festive snack ideas to adorable decorations, if you are hosting a firefighter birthday party you need to check this out. The best part of this party are the homemade fire trucks made from old diaper boxes for the little ones to play with. So creative! Flames, flames, and more flames! Deck out your party with these fantastic firefighter themed party decorations. Use foam sheets to cut out flame decals, then spread them around the party to add to the fun. 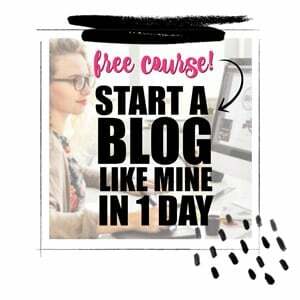 This blogger put them in their windows, along the railing, and on wooden stakes throughout the yard. Also check out their fun food ideas, including fruit skewers and licorice fire hoses. This rustic fire station birthday party is full of wonderful decoration, food, and other party ideas. All of the red, white, and black treats and Dalmatian print accents are adorable. Just look at those delicious Dalmatian cake pops! I also love the idea of adding a fire fighter badge to an otherwise plain cake to amp up the festive feel. Keep it simple with this low-key smoking hot fire truck birthday party. Keep the decorations easy and simple with personalized fire fighter hats, Dalmatian and flame inspired cupcakes, and all of the red foods you can think of. Think strawberries, red jelly beans, Doritos, and more! Chalkboard labels make it easy to mark different kinds of food and personalize favors. Handmade apothecary style jars, a colorful backdrop and Dalmatian dots on the cupcake stand are a few of the ideas I especially like in this party. Love these fireman birthday party ideas? Get supplies here! Get some more fireman birthday party inspiration with these ideas!